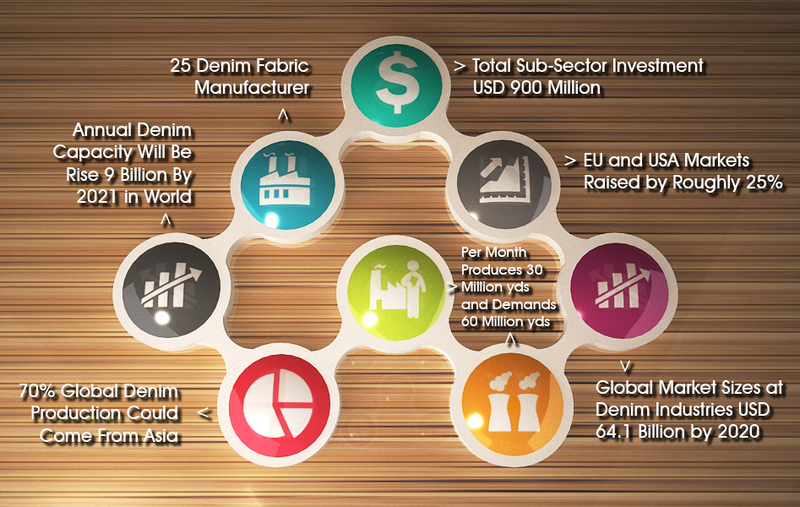 Moreover global Market for Denim is forecast to reach USD 64.1 billion by 2020. In 2013-2014, export of denim products to the USA and EU markets rose by roughly 25 percent and day by day it is increasing. The total denim production of the whole world are approximate 7 billion meters and within these total 70% fabric is produced in Asia. The future of Bangladesh’s denim industry is bright. To meet the growing demand of denim fabric to International market, the local mills are investing hugely on state-of-the-art imported machineries especially on the weaving & processing side and setting up large plants in the country. Copyright © 2015. Denim Expo All rights reserved.